IF NOT EXACTLY a poor result against the side that finished fifth last year in the Premier League, Liverpool’s 1-1 draw against Newcastle at Anfield halted a seven-game winning streak for the Reds in this particular fixture. The home side peppered Tim Krul’s goal throughout, with Jonjo Shelvey particularly guilty of missing an absolute sitter shortly after Luis Suarez’ equaliser in the second half. Liverpool currently sit in 12th place in the Premier League table, behind such teams as West Ham, West Brom and Swansea City, with their failure to find a replacement for Andy Carroll on the last day of the transfer window seen as the main reason for their dreadful start to the campaign. Indeed, were it not for the goalscoring form of Suarez, they would be scrapping in the relegation places. Do you think that Brendan Rodgers’ oft-mentioned long term plan for Liverpool will see them challenge for the title in the next three to five years, or is this the continuation of a slump that kicked in during Rafael Benitez’ last season? Do the American owners really have the club’s best interests at heart, or are they just Hicks and Gillett 2.0? Email “Open thread: Are Liverpool as bad as 12th place suggests?”. 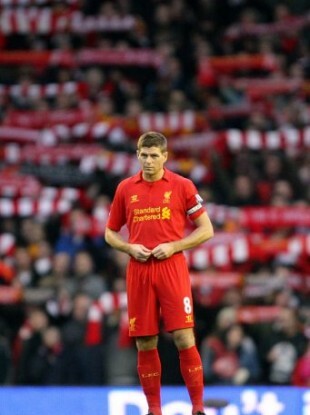 Feedback on “Open thread: Are Liverpool as bad as 12th place suggests?”.